Welcome to the world of u4c! 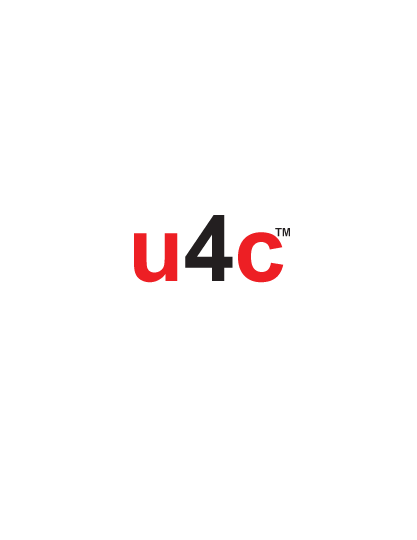 u4c Tutorials, u4c Resource files and u4c Wand© files (or any files derived therefrom) are licenced for use only to Members of the u4c Membership site and for their sole personal use. u4c Wand© files (or any files derived therefrom) can only be used by third-party persons or entities who hold a valid u4c Third-Party User Licence (TPUL) available online from u4c4seconds Limited. 3 A Confirmed, perpetual u4c TPUL licence given in that entity or organisation’s name, effective from the date of such QM confirmation and acceptance by u4c. Failure to register a u4c Member as a Qualifying u4c Member (QM) within 90 days of issue of an interim u4c TPUL licence will lapse that interim u4c TPUL licence without right of refund for any u4c TPUL licence fee or fees so far paid. 2 sponsor a nominated person or persons to become a u4c Member to then serve as that entity or organisation’s ‘qualifying’ u4c Member (QM) required for their obtaining a permanent, confirmed u4c Third-Party User Licence (TPUL). u4c Tutorials, u4c Resource files and u4c Wand© files are not sold; rather, they are licenced all the way through the distribution channel to the end user. u4c Tutorials, u4c Resource files and u4c Wand© files are copyright works registered with the UK Copyright Service, Registration No 284702558 and in other countries. Want a discount? Become a member by purchasing u4c Membership, or log in if you are a member.